An Australian political party has boldly stepped forward with a proposal to reform taxes to make housing affordable and end the destruction of tens of billions of dollars of taxpayers money in deadweight losses each and every year: that party is the Australian Labor Party. Labor has backed the concept of replacing stamp duty with a property tax as part of a tax reform agenda it is developing to make housing more affordable. 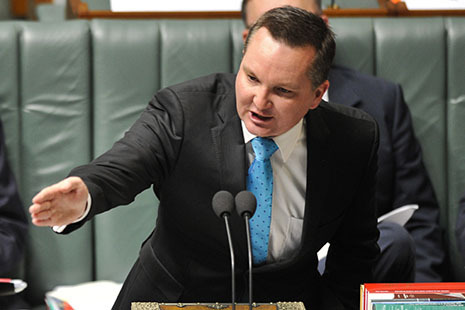 Shadow treasurer Chris Bowen also recommitted the Labor Party to lowering the company tax rate but said calls by business groups that it be funded by an increase to GST were retrograde. Correct. AHURI modelling of Melbourne shows a $335,000 land parcel (2006) would reduce in price by $24,000 while making no calculation of the benefits of Stamp Duty removal – which would be of similar scale and end the advantage stayers have over shifters. Lowering company tax would also restore Australia’s flagging animal spirits. Mr Bowen cautioned he was “not flagging changes” to negative gearing but lauded the June 2012 change by the ACT Labor government in which stamp duties will be phased out over two decades in return for a property tax, introduced as a large hike in rates. “The interaction of property tax, stamp duty, some good things have happened here in the ACT under Treasurer [Andrew] Barr’s leadership, which have been positive I think for housing affordable at a state tax level,” he said. Mr Bowen has shyly chosen to describe his proposal as a ‘property tax’ . That would be a tax on both land and buildings which would discourage construction. Then he lauds the ACT experiment, which is most definitely a land tax, and cause for celebration. In late 2012, then-Labor treasurer Wayne Swan urged the other states to follow suit as an alternative to raising the GST. They all baulked at the idea. Mr Bowen reaffirmed that Labor remain opposed to raising the rate of the GST or broadening its base. He said the problem of using the GST to fund other tax cuts was that GST revenue does, and should always, go to the states, meaning there would be no ­revenue to fund a corporate tax cut. Mr Bowen has flagged an aspiration to lower company tax to 25 per cent. Because the GST is a regressive tax, any increase would require compensation for lower income earners. “Therefore, you don’t get much once you’ve compensated low income earners for the regressive nature, you really don’t get the opportunity to engage in other sorts of tax reform,” he said. The GST is regressive. It hurts the poorest who spend more of their income on taxable items and is to be condemned. We desperately need reform to remove the penalties imposed on labour and enterprise. A universal land tax with deadweight losses of zero answers that description. We applaud Mr Bowen’s proposals. Thanks labor. I’d be careful believing anything those snake charmers say. I’d rather have someone tell me the ugly truth to my face than be swindled by the labor party again.